Paraben-Free Styling Trio by BeautiMark includes: 1 - 8oz. Paraben-Free Style & Hold Hairspray, 1 - 8oz. Paraben-Free Brilliant Shine, 1 - 2oz. Paraben-Free Shaping Crème Formulated free of toxic parabens. 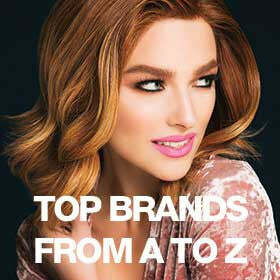 Extend the life and beauty of your synthetic hair with BeautiMark Paraben-Free Hair Care Products.